Minor Shelfwear and small tear to the front cover. Tan to the page edges. Good condition is defined as: a copy that has been read but remains in clean condition. All of the pages are intact and the cover is intact and the spine may show signs of wear. The book may have minor markings which are not specifically mentioned. Most items will be dispatched the same or the next working day. Very Good. This anthology of 20 stories are from all over Africa, grouped geographically into four different sections-West, East, North and Southern Africa. Trade paperback (US). Glued binding. 176 p. Aws African Writers. Good. This anthology of 20 stories are from all over Africa, grouped geographically into four different sections-West, East, North and Southern Africa. Trade paperback (US). Glued binding. 176 p. Aws African Writers. New. This anthology of 20 stories are from all over Africa, grouped geographically into four different sections-West, East, North and Southern Africa. 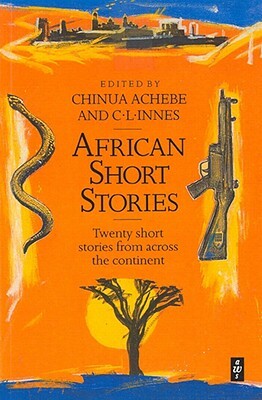 Editor(s): Achebe, Chinua; Innes, C. L. Series: Heinemann African Writers Series. Num Pages: 176 pages. BIC Classification: DQ; FA. Category: (G) General (US: Trade). Dimension: 197 x 132 x 11. Weight in Grams: 160. 1987. New Ed. Paperback.....We ship daily from our Bookshop. New. Trade paperback (US). Glued binding. 176 p. Aws African Writers.